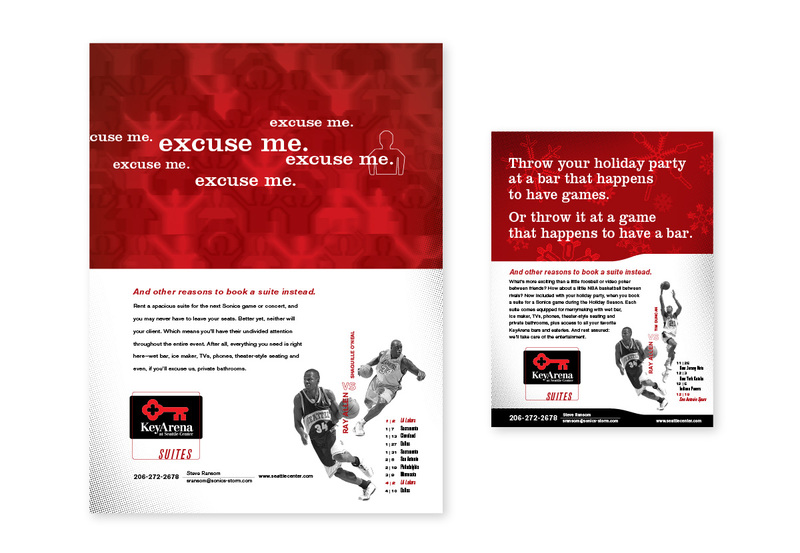 To promote KeyArena Suites sales, Atomic was first brought on board to create the Suites branding which grew into an ad series for high-profile sporting events and concerts. 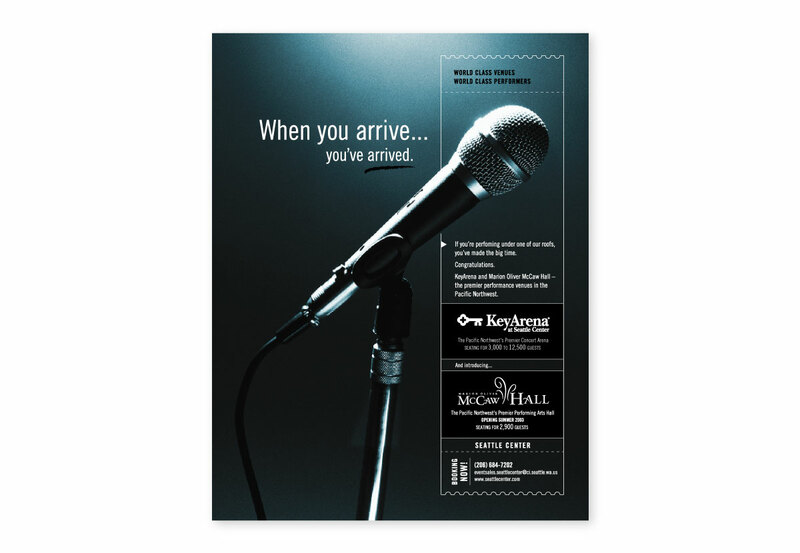 Pollstar ads that got noticed. Icons. 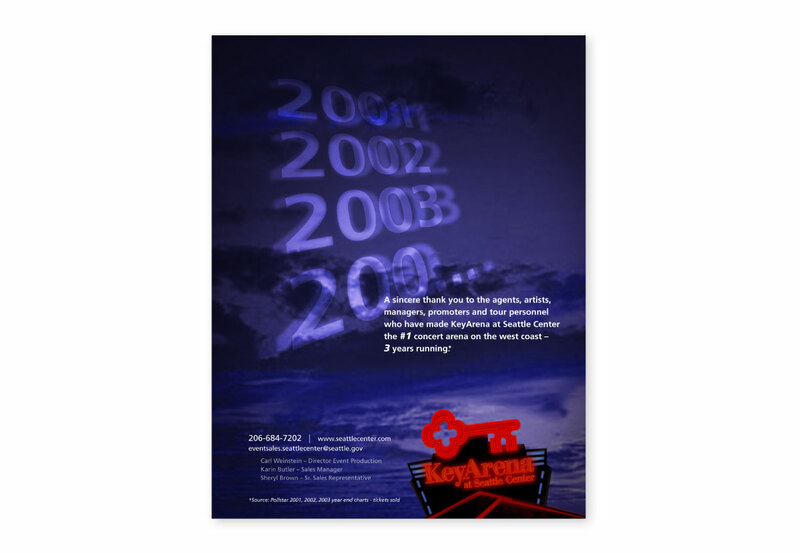 Brochures. Giant Sonics Footprints… come back Sonics!